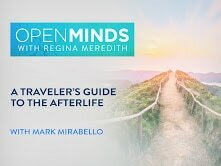 Professor Mirabello on discussing afterlife concepts on "Open Minds," hosted by Ms. Regina Meredith, on the Gaia Television Network. The interview was originally realeased on April 20, 2017. 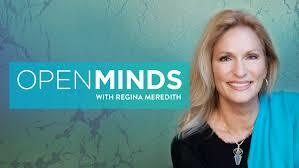 ​ Host Regina Meredith conducts interviews with thought-provoking luminaries, cutting-edge visionaries and tireless researchers, providing crucial information to awaken viewers to new perspectives that spark awareness, understanding and ultimately, transformation.